Check out the latest line-up addition from Novello's Love Collection. 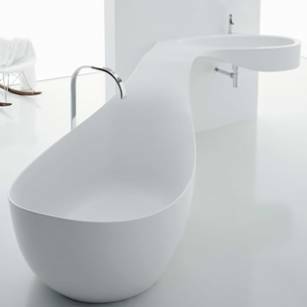 This modern piece has an amazing flow to from faucet to tub, and it will definitely be talk-of-the-town at your next get together. If you like it, make sure you ask our friends at Canaroma to special order this for your renovation project....All I can say is wow!